Thursday, GM announced that they will be recalling 92,221 full-size trucks and SUVs due to a malfunction in the ignition lock system. The recall covers certain 2011-2012 models and 2007-2014 models that were repaired with defective parts. 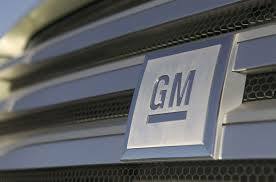 Ignition switch problems are nothing new for GM. Last year alone, the company recalled a mind numbing 2.6 million small cars for ignition switch problems, which were eventually linked to 42 deaths and 58 injuries (hundreds of other cases are still pending). Thursday’s recall also pushes GM’s unbelievable recall culture into another year. During 2014, GM issued 84 different recalls (that’s one every 4 days!!) that totaled 30.43 million vehicles worldwide. That total demolishes the recall record for a company during a single year, and almost matches the total single year recall record when combining all companies together. Check out the full list of GM’s 2014 recalls here. This entry was posted in Culture, GM and tagged 000, 2011-2012 Cadillac Escalade, 2011-2012 Chevrolet Silverado light-duty and heavy-duty pickups, 2011-2012 Suburban, 2011-2012 Yukon and Yukon XL, 2015, 92, and Avalanche GMC Sierra LD, and Escalade EXT, Escalade ESV, GM, recall, Tahoe. Bookmark the permalink.